This new Throttle Cable will assist you in converting your early Bronco to EFI. Due to the design of the EFI intake on the 5.0L Mustang engine, you can't utilize the factory throttle assembly without quite a bit of modification. 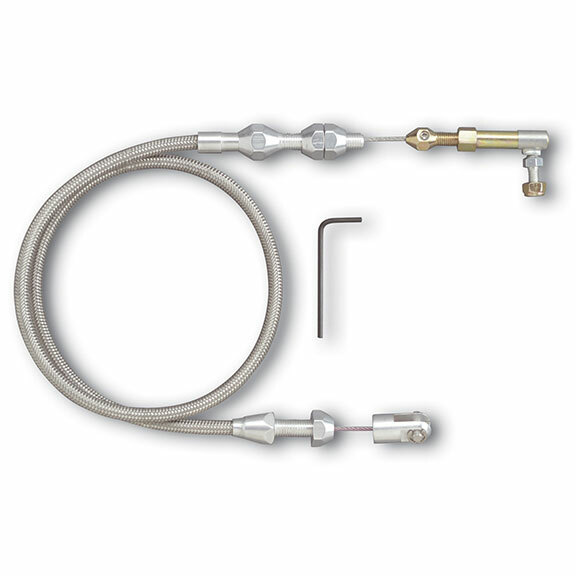 This EFI throttle cable makes it easy. NOTE: This cable is designed to work with 1986-1993 EFI Throttle Bodies. If needing a cable for 94-95 EFI Setup, please give us a call!